Happy February! I swear today is the day I stop saying "January...errr, oops". February is probably my favorite month because it is when the annual gem and mineral show is put on in Tucson. I do love shiny things other than polish! If that kind of thing strikes your fancy, you can check my Pinterest for pics from previous years. 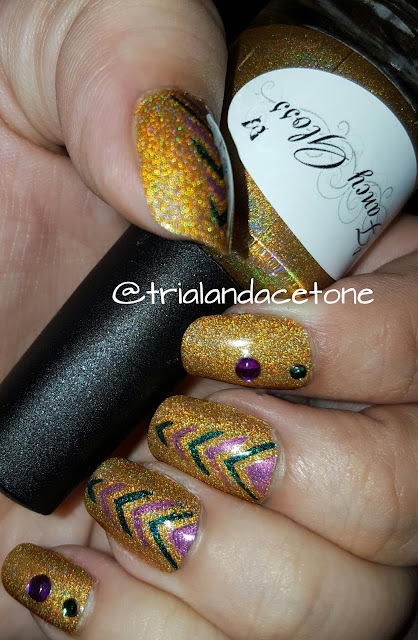 Today I have for you a polish I helped name! 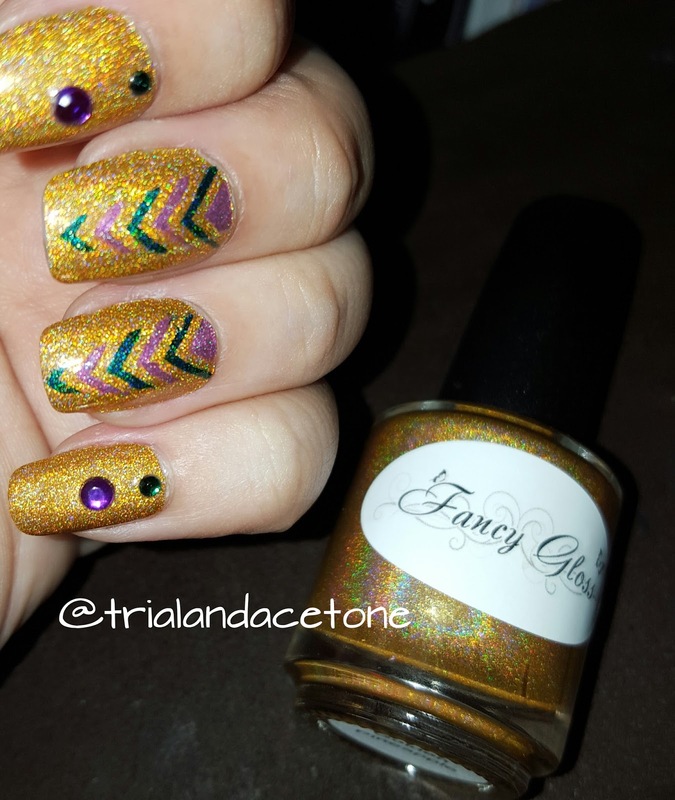 Fancy Gloss is an amazing brand, known for typically having one-coaters, and the creator, Jackie, started a fan group on Facebook. It's probably the most interactive indie polish fan group I am in, and whenever Jackie's playing around making polish, she posts sneak peeks and sometimes asked for suggestions on names. 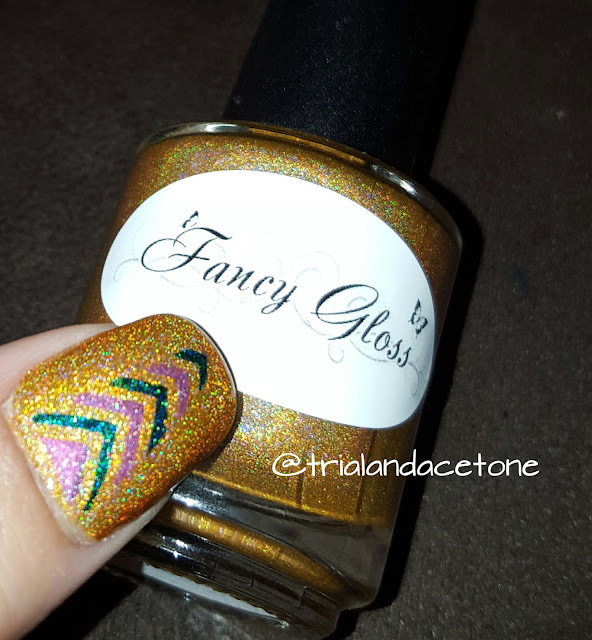 Hence, I bring you Golden Pineapple - a gorgeous gold one-coater holo, blindingly sparkly!! 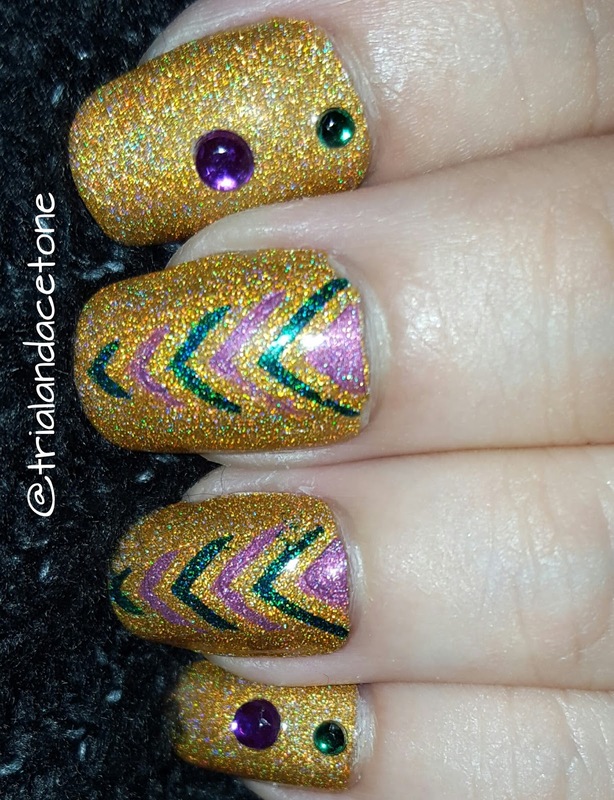 I ended up doing some random art that turned this into an unintentional Mardi Gras mani; yay for happy accidents!! You can snag Golden Pineapple and lots of other gorgeous polishes from Fancy Gloss tomorrow HERE - the restock is at 8pm EST and make sure you bring quick hands, because Fancy Gloss addicts are SERIOUS and stuff will be gone in literally minutes. 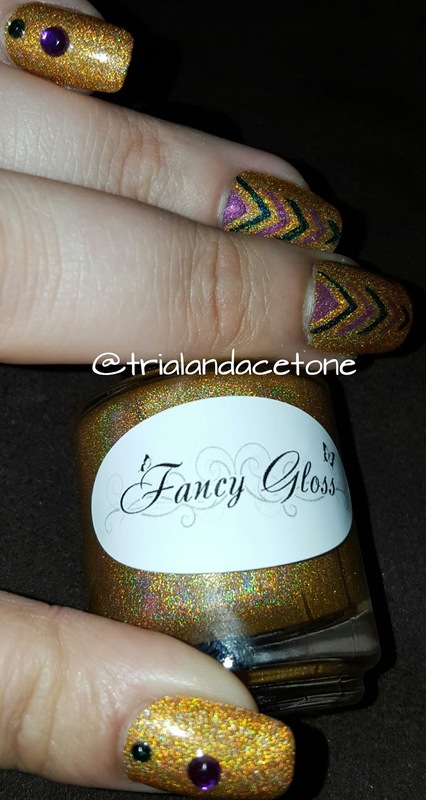 Check Fancy Gloss's Instagram for swatches! Don't you just love those happy accidents? 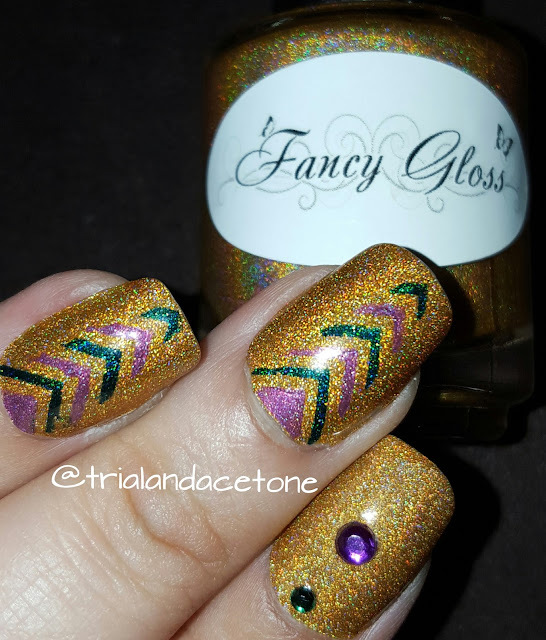 I've never tried Fancy Gloss, but I am a HUGE fan of one coaters. I've just gotten into the brand after lurking in the fan group to check it out for a while. I love what I have gotten so far! Ooooh! I am new to FG...I got a few in a swap and I'm hooked! Love your turned Mardi Gras mani. 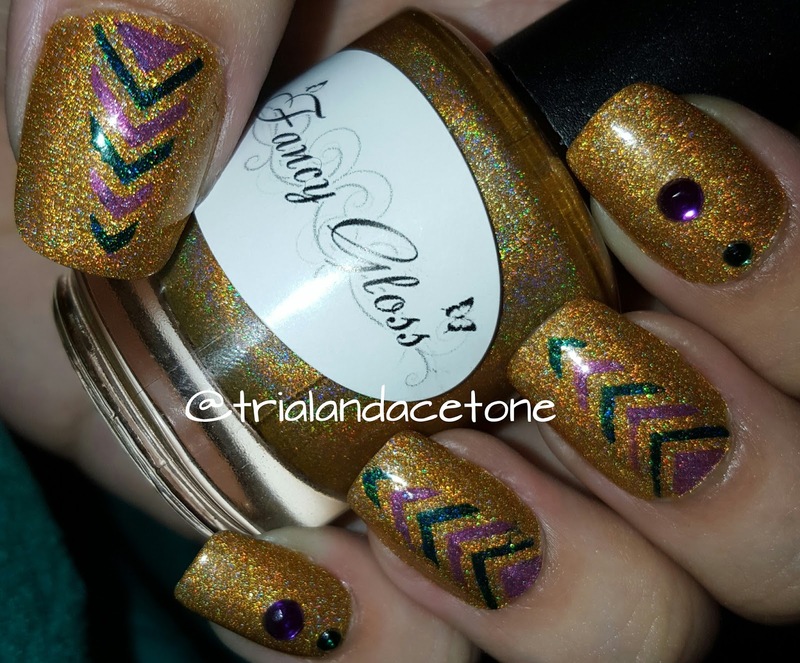 Wow a one coat gold! Super pretty!! 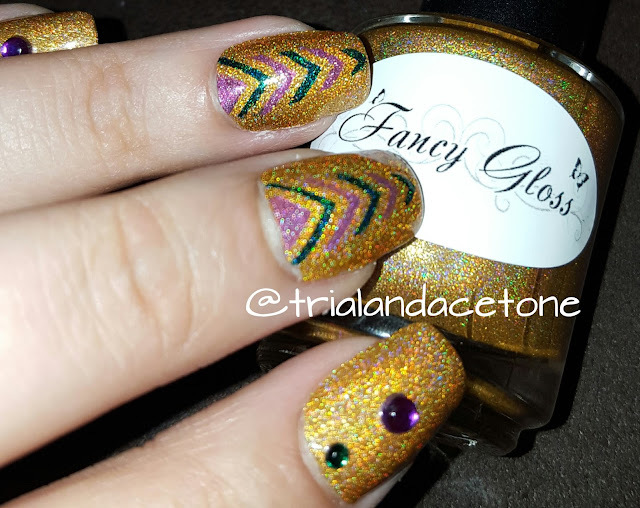 I love that it can be a yellow or a gold.